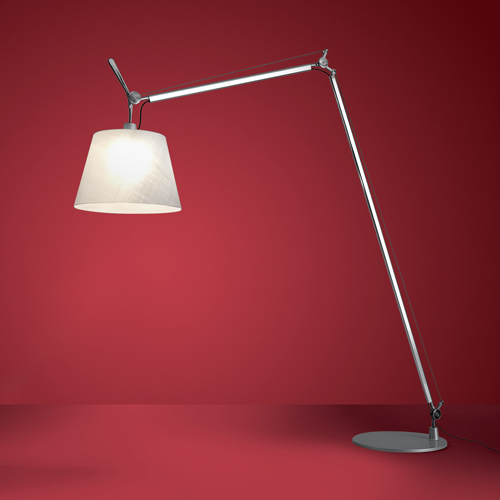 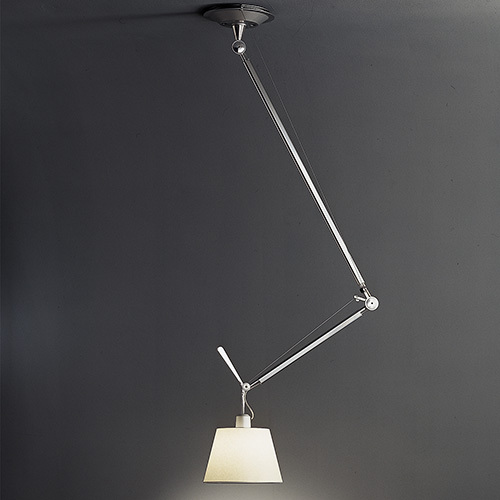 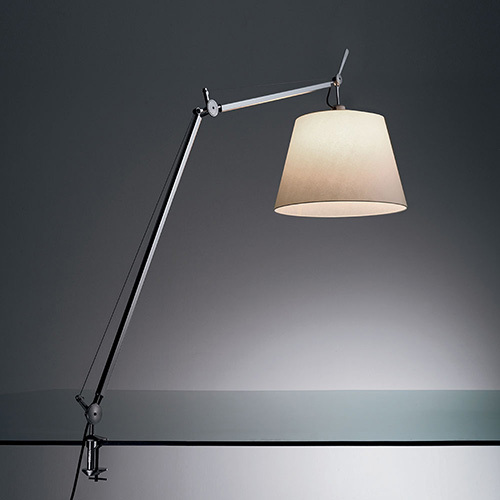 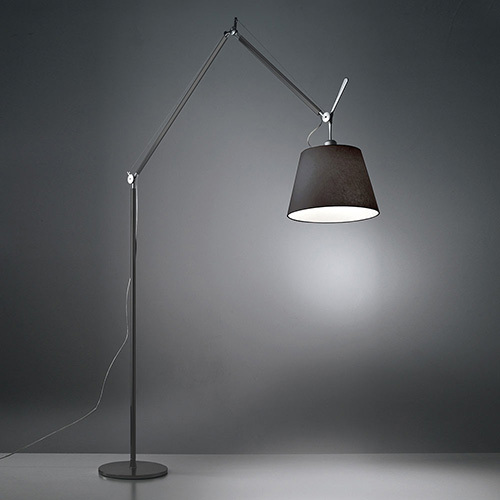 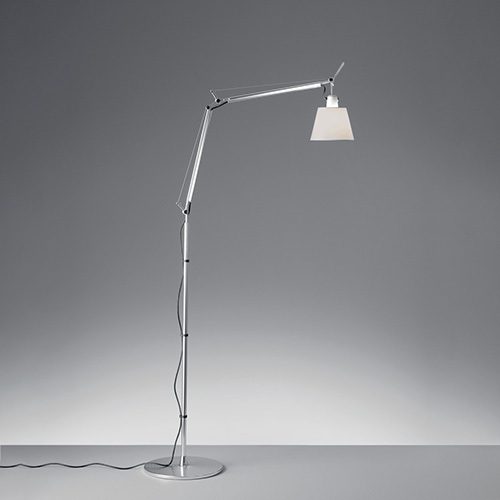 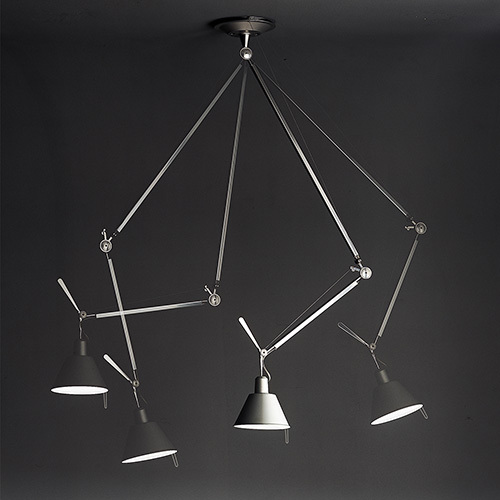 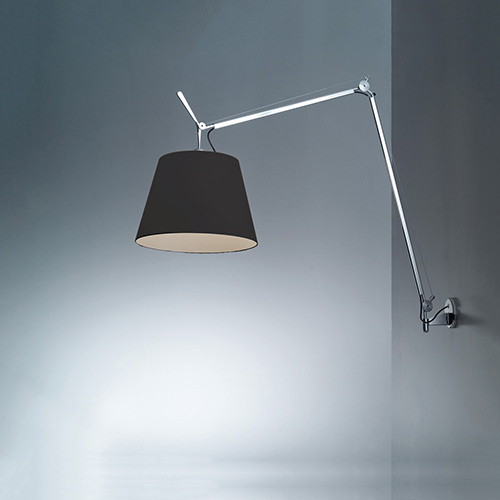 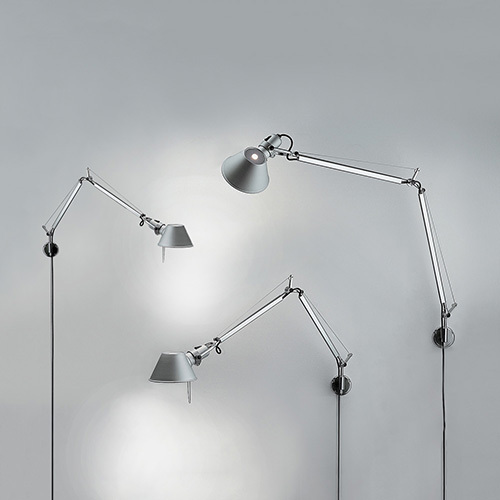 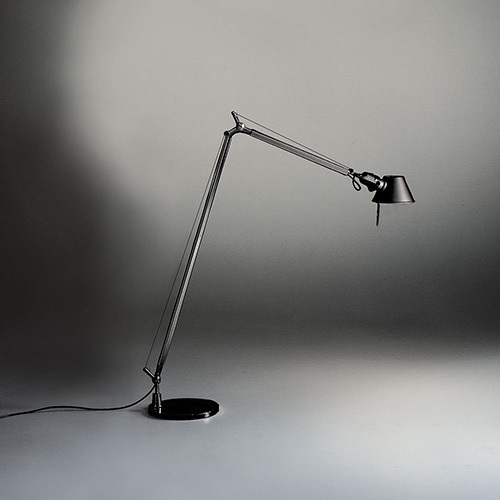 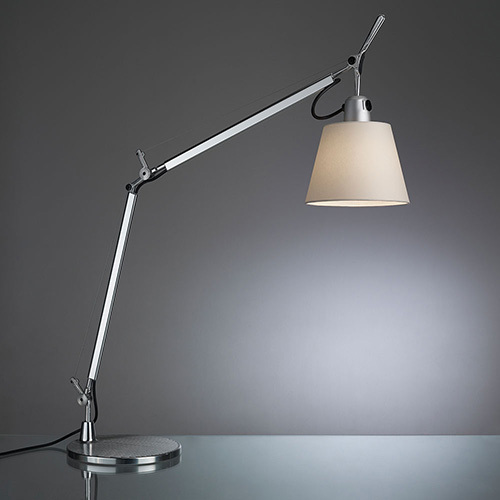 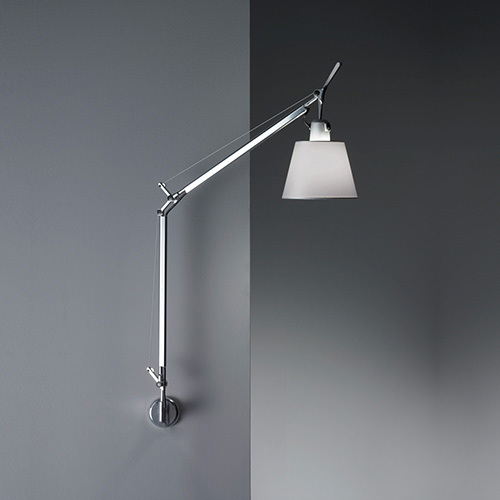 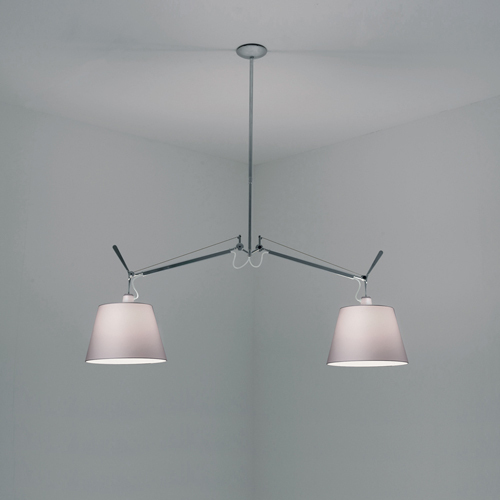 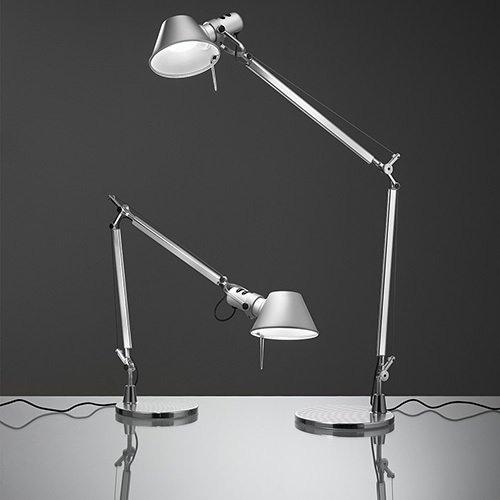 An extension to the iconic Tolomeo family, Tolomeo with shade features the same arm balancing body system as the Tolomeo table lamp combined with a selection of parchment or fabric shades, giving a warmer and more transitional look to the original version. 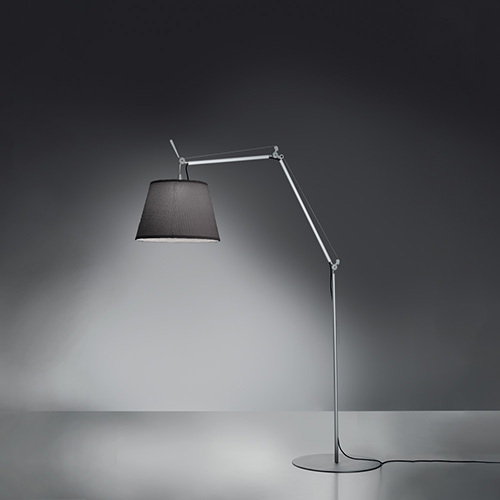 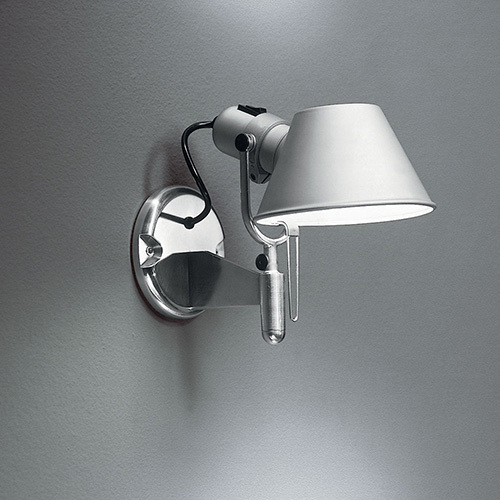 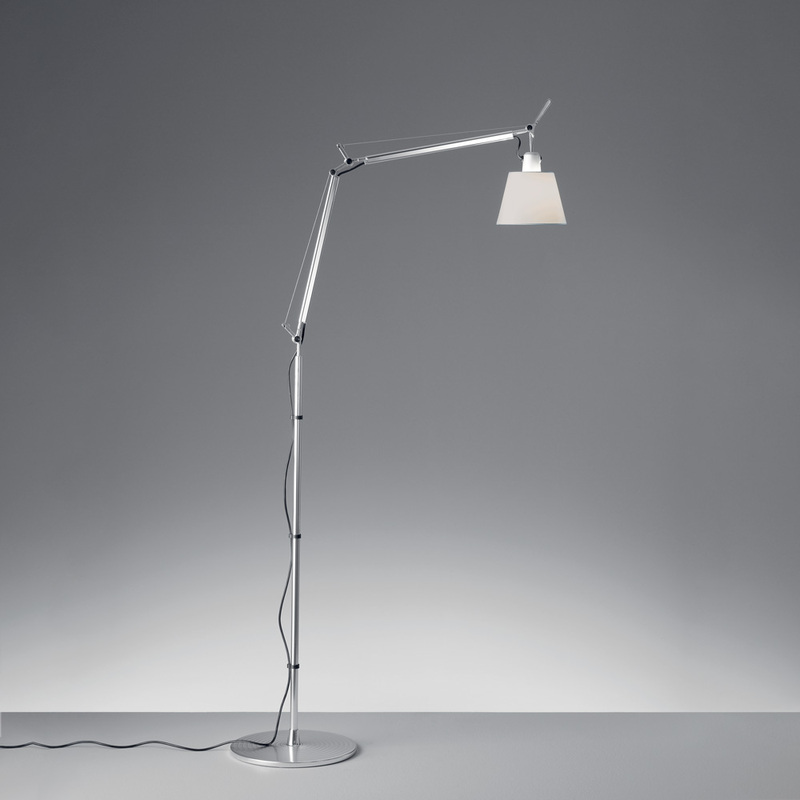 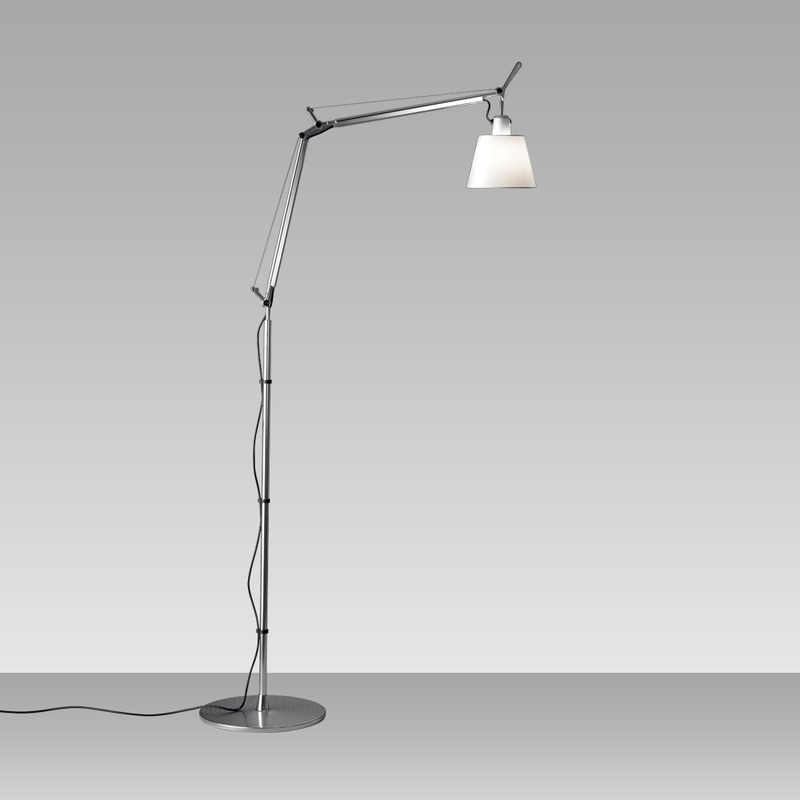 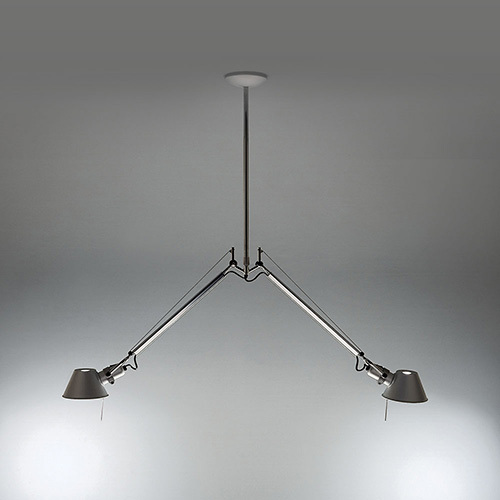 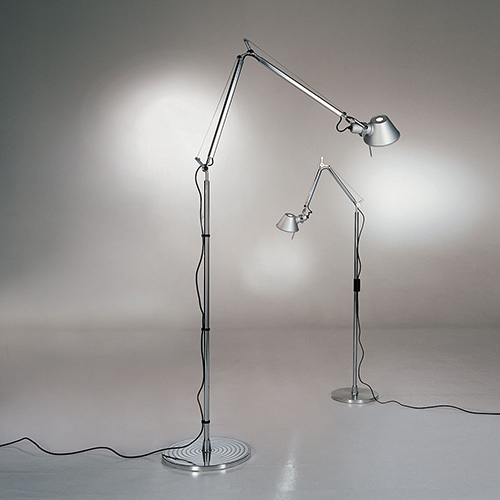 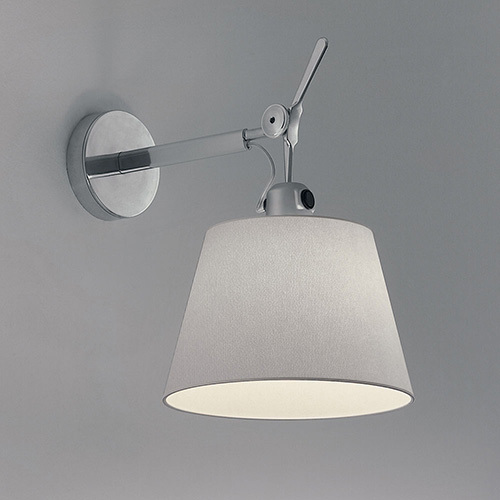 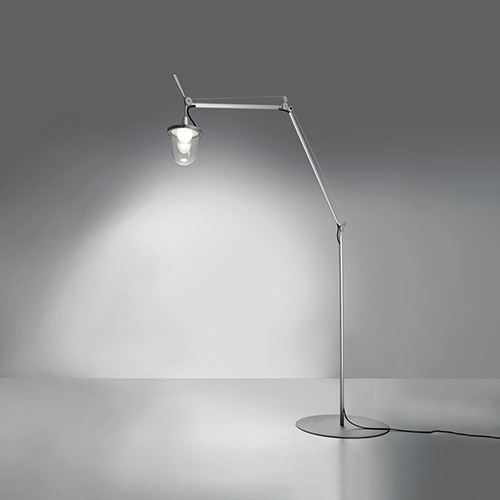 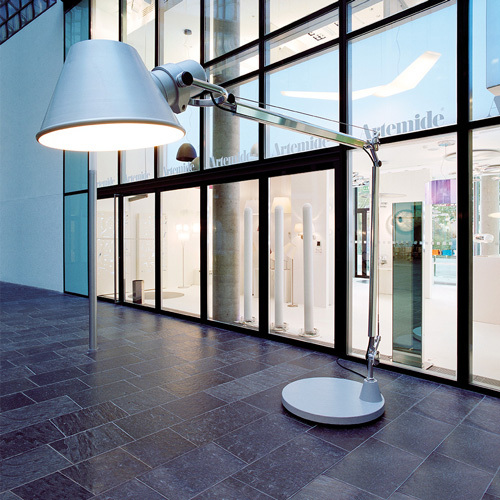 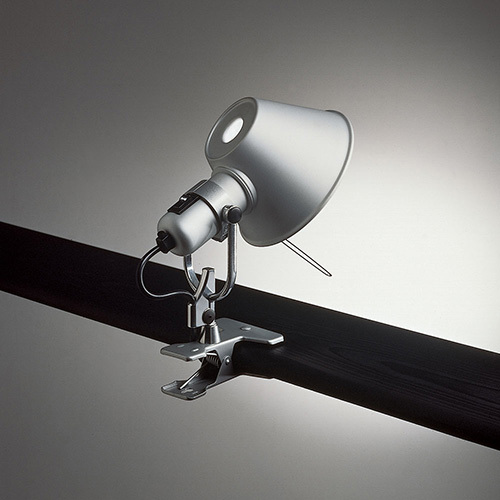 -Floor support consisting of weighted steel base with stamped aluminum cover and stem in chromed steel combined with Tolomeo with shade table model for conversion to floor model. 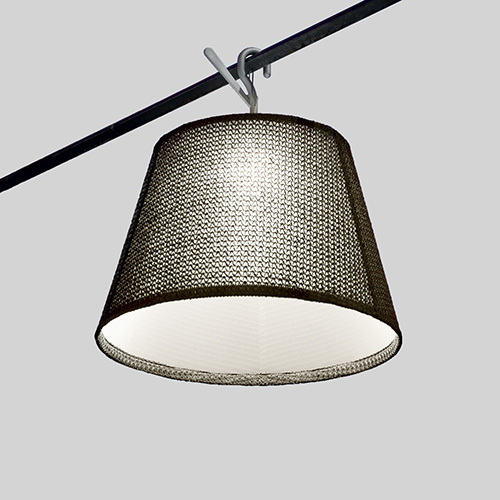 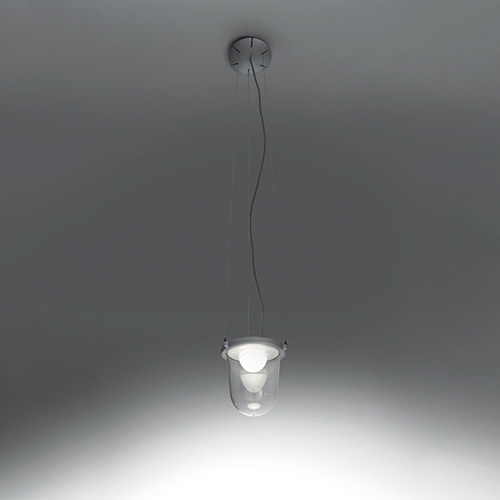 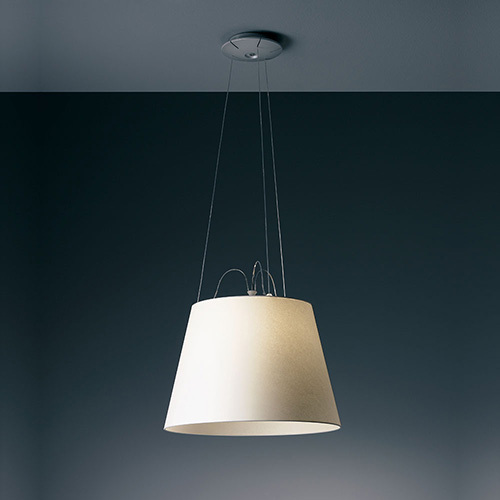 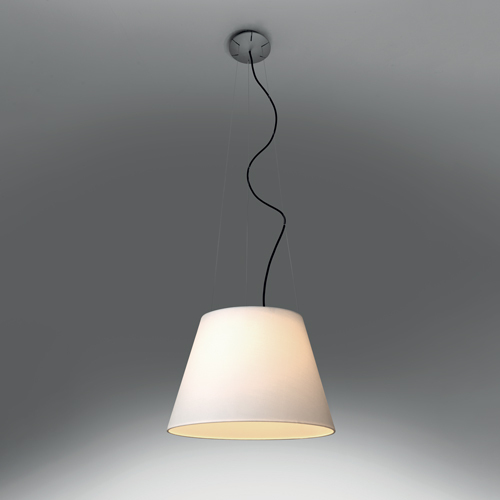 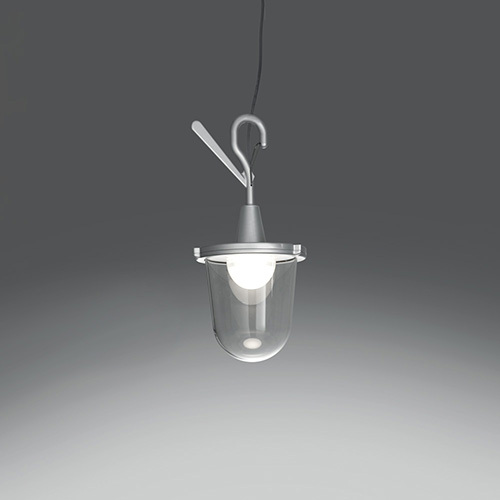 -7” diameter shade available in parchment paper or in pale grey satin and polycarbonate fiber blend, remains vertical regardless of arm angle.